Yeah, i acknowledge that there’s nothing better than getting a professional facial spa treat, but realistically not every woman can handle the cost of it. They can be expensive for an average Nigerian woman, so should we neglect our skin because we cant afford the cost of a professional Spa treat? No way! 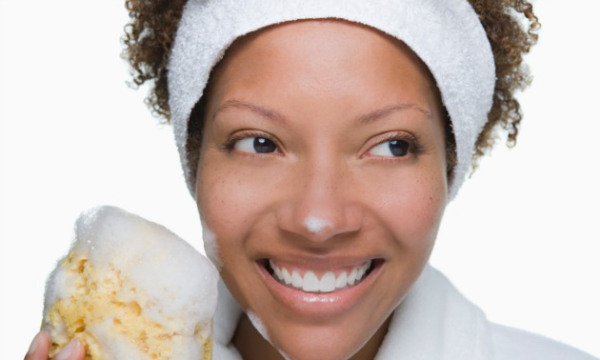 In this article, we will learn this basic at-home facial and try it once in a week. This basic facial works on oily, dry and combination skin. Don’t forget to remove eye makeup with a makeup remover. My hands-down favorite is …………. (you can add any product,if we already have one we are linked with). Using your fingers, rub a gentle exfoliating facial scrub in a circular motion on your face. Concentrate on the areas around your nose and forehead or if you have combo skin, work harder on the areas that tend to be “greasy.” Rinse your face well since exfoliating scrubs tend to be drying. For oily skin, use a clay-based face mask. For dry skin, go for a hydrating gel or cream mask. Apply the mask, avoiding the areas around the eyes. Keep it on for 10-20 minutes (or, according to the directions on the product). Wash off the mask with warm water and a wash cloth. You can even make your own face mask. Smooth on a soothing, basic moisturizer over your face and neck. If you want organic and cheap, try extra virgin coconut oil. Spending that amount of money at a professional home spa can be a luxury to consider every once in a while but if you can try this “do it yourself” every once in a week, it will help you rejuvenate, relief stress, help you look youthful and feel confident.